On July 30, 1965, President Johnson signed into law the Medicare and Medicaid programs that gave millions of older and low-income people access to affordable health care. Today, more than 100 million Americans, almost one out of every three, are covered by Medicare, Medicaid, or both. It’s the closest the United States gets to providing universal health care. Last week, the Public Employee Retirement Commission (PERC) released a cover memo and reports from four actuaries analyzing the newest public pension proposal championed by Governor Corbett, one put forward by Rep. Mike Tobash. We put out a press release and brief on this proposal Monday. Pennsylvania Senate hearings on lottery expansion earlier this week focused on increasing state revenue for seniors' programs by expanding lottery games under public management (to include keno). This was a welcome shift from last year's proposed privatization of the lottery with the Camelot Group, a British company, and a temporary reprieve from more recent rumors about privatizing lottery management. What to Make of the Fiscal Cliff Deal? Tell us what you think about the Fiscal Cliff deal. Take our two-question survey. The agreement reached by President Obama and Congress on January 1 was both historic and disappointing — and it leaves much unsettled. The urgency of the Fiscal Cliff has dissipated, but significant threats remain to federal funding for state and local services as well as refundable tax credits for low-income working families, Medicaid, Medicare and Social Security. A few weeks ago I wrote about a series of problems with a plan to privatize the operations of the Pennsylvania Lottery. The effort had elicited just one bid from United Kingdom-based Camelot Global Services. On New Year's Eve, Governor Corbett announced that his administration had negotiated an extension of Camelot's bid (which was set to expire) through January 10. I put out a statement today reacting to that news. 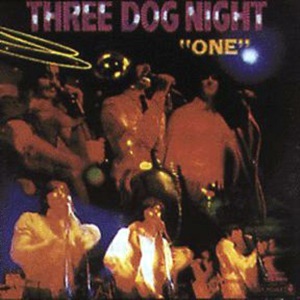 Although I’m dating myself, some of you may recognize the Harry Nilsson song made famous by Three Dog Night. We recommend that Governor Tom Corbett download it to his iPod as he contemplates whether to accept a solitary bid from Camelot Global Services to take over the operation of the Pennsylvania Lottery. Whether privatizing state services or getting a new roof for your house, having a single lonely bidder is a red flag for a fleecing — for overpaying the contractor.